I have traveled the world, but I have never seen anything like it. 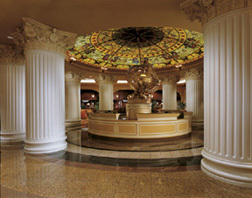 Imagine entering a lovely hotel lobby with marble floors, elegant colorful carpets, and massive white pillars. Then, after registering you leave the lobby and step into a huge spectacular tropical garden. A four-story cascading waterfall is at one side. There are 8,200 tropical ornamental plants here. There is also a revolving lounge and a seafood restaurant. Wherever you walk you are surrounded by an array of brilliant colors and aromas. Six floors of guestrooms with balconies overlook this wonderful tropical garden. The sunlight is bright. At first you think you are outside, but then you see a glass ceiling high above. 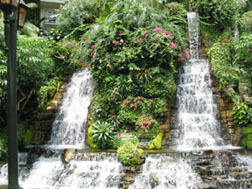 This astonishing area is the Cascades atrium of the Gaylord Opryland Resort & Convention Center Nashville. But this is only the beginning of this amazing resort. There are two other magnificent atriums here. Just step on an escalator, and it will take you to a skywalk above the Garden Conservatory. Here, a massive atrium under a high glass ceiling featuring a collection of 10,000 tropical plants is a feast for your senses. The beauty of the place is astounding. You can go below and explore the waterfalls, fountains, secluded park benches, and winding pathways in the luscious gardens. Although this area is a great getaway from everything (also a perfect setting for a small romantic wedding), there are some excellent restaurants in the midst of all of the gardens. Volares Italian Restaurant serves up some great pizzas and pastas. Guestrooms with balconies also surround this unusually interesting cornucopia of colors. The third atrium, know as the Delta, is a spectacular indoor garden with a subtropical feeling. Here there are 370 trees and palms - between 20 and 40-feet tall and thousands of smaller plants. Guestroom balconies also surround this atrium and the glass-domed ceiling at one point rises to a height of 15 stories. A huge waterfall flows into an indoor river. You can ride a flat boat on this quarter-mile Delta River while a guide narrates the journey describing everything from the fish and other marine life in the river to the host of amenities the Delta offers. There is an island in the middle complete with shops, restaurants, meeting rooms, and even a food court. Guests often gather around a fountain of dancing waters that spout up at different heights and seem to be moving in concert with music. It reaches a crescendo when a geyser of water jets skyward 85 feet into the air. And remember, everything is indoors. Sound fantastic? And these are not small atriums with everything crammed inside. They are immense. A staff of 20 full-time interior horticulturists maintain these picturesque plants and gardens. 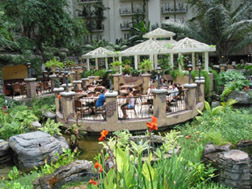 The Gaylord Opryland Resort & Convention Center Nashville has 2881 guestrooms. It is the largest non-gaming in-hotel facility in the world. Another area of Gaylord Opryland is The Magnolia. Here you can browse in unique shops or enjoy some great restaurants. 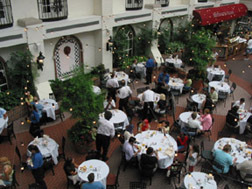 The restaurants in this area include Rachel's, that features a grand buffet for breakfast, lunch and dinner, Findley's Irish Pub, and Rusty's Sports Bar & Grill. The entire resort is low key and informal. Even at the award winning Old Hickory Steakhouse in the Delta atrium no ties or jackets are required. The convention center at Gaylord Opryland draws thousands of visitors. There are five grand ballrooms here with some 600,000 square feet of flexible space, and the murals in the lobby of the Tennessee Ballroom are outstanding. I didn't attend a convention, but I loved the "Rockwell's America: Celebrating the Art of Norman Rockwell" exhibition that was located in the convention center. This is the largest Norman Rockwell Saturday Evening Post exhibition ever created. It is a unique interactive exhibition where Norman Rockwell's most famous Saturday Evening Post art are brought to life in theatrical settings and with live characters. The Norman Rockwell exhibit that will run for four months, is just one example of the high quality attractions you will find at Gaylord Opryland. Another is to cruise on the General Jackson Showboat. 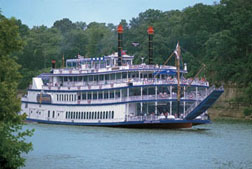 It is 300 feet long with four decks including a two-story Victorian Theater making it the largest showboat in the world. I took the three-hour dinner cruise down the Cumberland River. The Peking Acrobats show far exceeded my expectations. This show that will also run for four months is a world-class performance of amazing feats of balance, precision and dexterity. 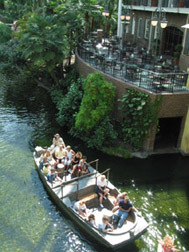 The centerpiece of the Gaylord Opryland entertainment resort is the renowned Grand Ole Opry House. This is a 4,400-seat auditorium that you can reach in a few minutes by shuttle bus from the hotel. If you would like a little exercise after dinner, it's only a short walk from the hotel. 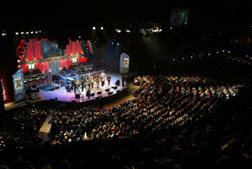 The Grand Ole Opry, which originates here, is the longest running live radio show in the world. It began in November 1925. In March 1974 it moved from the Ryman Auditorium in downtown Nashville to its present location. I went to a Saturday night show, and what a show it was. The house was packed. I heard well-known performers such as Porter Wagoner, Little Jimmy Dickens, and Steve Wariner, as well as several rising stars, one of whom was Anita Cochran who gave a strong performance. This is a live radio show, so as each artist finished, he or she was followed by a commercial, during which those on stage and the audience talked among themselves until the sign came up that we were back on the air. The show ran for more than three hours. It was the highlight of my visit to Nashville. Although I was never really into country music, that has changed. When I returned to my home in Fort Lauderdale, the first thing I did was purchase a country music CD. 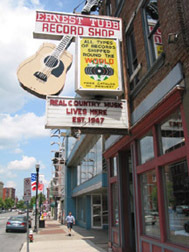 In addition to all of the above, there is still lots more to do and see in Nashville. Probably the best way to do this is to take the Grand Ole Nashville bus tour from the hotel. This is an interesting three-hour narrated tour. It takes you to a self-guided tour of the historic Ryman Auditorium, the former home of the Grand Ole Opry, and also to Music Row where most of America's recording studios are located. 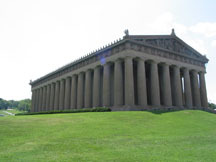 You can also see the Country Music Hall of Fame and the Parthenon, a full-scale replica of the Parthenon in Athens. The bus tour will also show you the homes of top country stars including Ronnie Milsap, Martina McBride, and Earl Scruggs. Being a sports nut, I also visited the Tennessee Sports Hall of Fame & Museum. It is located in downtown Nashville at the Gaylord Entertainment Center, home of the National Hockey League's Nashville Predators. 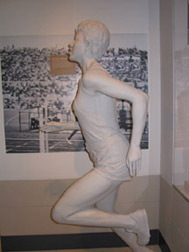 The exhibits at the Tennessee Sports Hall of Fame & Museum cover college and professional sports as well as the Olympics. Tennessee has a long-standing tradition of accomplishment in the Olympics. There is an impressive exhibit commemorating Wilma Rudolf of Clarksville, Tennessee. This remarkable athlete overcame childhood pneumonia, scarlet fever, and polio requiring leg braces to become a legend in track. She was a triple-gold medal winner and set world track records at the Rome Olympics in 1960. Later Wilma Rudolf used her fame to advance civil rights in Tennessee.